CU Coventry, part of the Coventry University Group, has launched a BEng in Electro-Mechanical Engineering. The degree will keep up to date with the very latest advances in the industry and teach students how to develop their own knowledge, giving them strong employability skills and putting them in the best possible position to progress in their career. Students will be given a solid foundation of the core principles, get hands-on experience with industry software and also look at contemporary issues facing tomorrow’s engineers during the first two years of the course. The final year will then see students refine the art of independent learning as they complete projects set by local employers with the support of their tutors. 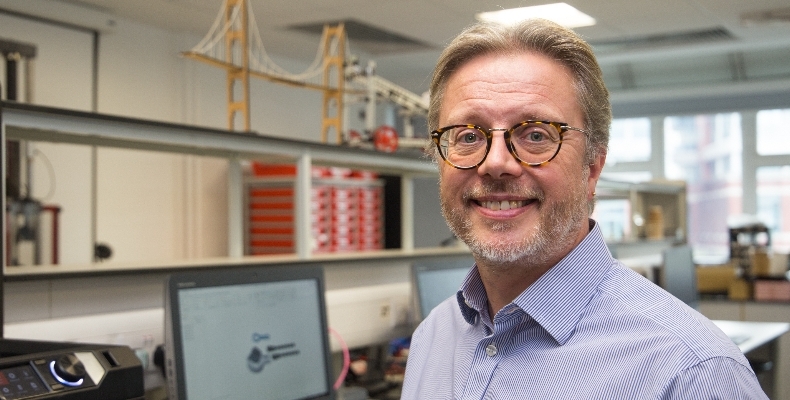 “Technology is moving so fast, if we were to focus just on knowledge it would be out of date by the time the students graduate,” said Jon Melville, Head of Engineering and Digital Technologies at CU Coventry. He added: “Instead we are keeping right up to date with the 21stcentury by giving students the skills to teach themselves, which will not only help them during the course but also throughout their career. “The students will learn the fundamental principles and how to deal with challenges before putting their skills into practice in the third year when they will work independently, with tutors assisting and addressing any skills gaps. “We will be working in partnership with employers who will administer and monitor projects, giving students the opportunity to learn about the challenges of the workplace in a less pressured environment. Pictured: Jon Melville, Head of Engineering and Digital Technologies at CU Coventry.